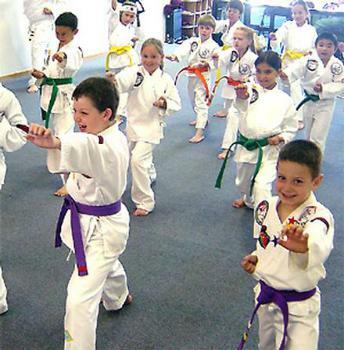 Save 50% Off your first month of Tae Kwon Do class for adults or children. Purchase a $100 Certificate for only $50! Come as a whole family and learn together. The Family that Kicks together stays together! Also offering Adult and Children classes. Come check us out! New Members Only. For Tae Kwon Do classes only. Limit one per person. No limit on family members. Must purchase 1 certificate per person. You will receive a $100 certificate for $50! Learn from Master Parks in West Springfield! Over 20 year of teaching experience. There's no one better to learn from! Tae Kwon Do is a Korean Martial arts that literally means Kick, Punch, Way of Life. It is one of the oldest forms of martial arts in the world with earliest records dating back to about 50 B.C. It is also the most practiced form of martial arts style in the world with over 30 million practitioners in over 126 counties. At our school, we embody the ancient spirit of Tae Kwon Do. We teach traditional forms and follow the five aims of Tae Kwon Do: Respect, Humility, Perseverance, Self-Control, and Honesty. These are key to help with the moral and physical development of our students. No matter what your personal goals are for learning Tae Kwon Do, we have ability to help you succeed at any age! We have proven that our program can increase academic grades, reduce behavioral problems and develop goal-setting strategies that will help students to succeed for the rest of their lives. If you have any questions you can call us any time at (413) 737-5425 or email us at angelampark@yahoo.com. For Tae Kwon Do classes only. No limit on family members.